Ellison, senior tax attorney, Treasury Tax Operations America at Shell Oil Company, has worked in a variety of substantive areas of tax, including international and domestic tax, partnerships, insurance, and SALT, but what she likes most is that tax has enabled her to be both a counselor and an advocate for the company. “On the counselor side, I enjoy interacting with the business leaders to arrive at a tax strategy which is supportive of the business strategy and contributes to the company’s bottom line. On the advocacy side, tax controversy allows me to advocate for the positions taken on the tax returns and to negotiate with tax authorities to resolve tax disputes,” she notes. One of the more interesting and challenging tax matters Ellison has dealt with involved a state tax controversy where the state was citing federal tax statutes in support of its position to disallow certain deductions related to a cross-border transaction. “I was able to leverage my international tax experience to defend the return position taken and reach a favorable outcome for the company,” she says. Before coming to Shell, Ellison worked for BP America, where she enjoyed providing tax planning advice and audit defense on complex global tax matters. 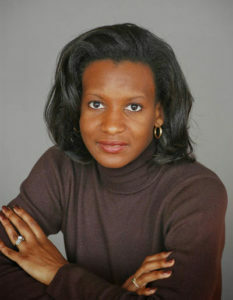 Ellison enjoyed this role because it allowed her to leverage her U.S. international tax experience from the private sector and the government (Ellison was an attorney-advisor for the IRS Office of Associate Chief Counsel, International) and to provide tax advisory support to business operations outside the United States, including in Norway, Algeria, China, Indonesia, and Trinidad and Tobago. Ellison also was employed at Prudential Financial, where she worked on a variety of tax issues, including international and domestic tax, mergers and acquisitions, financial products, insurance, tax controversy, and tax policy matters. “My role at Prudential Financial was invaluable to me, because the tax department placed a strong emphasis on partnering with the business, understanding the business drivers, and delivering value to the company through tax, and those principles have continued to guide [me] through my career,” Ellison notes. In addition, she worked at PwC on several interesting tax planning projects (mergers and acquisitions, IPOs, and divestments) and gained experience in tax compliance and income tax accounting. Her first tax role was at PwC after she completed the LL.M. program at Georgetown University Law Center. While at PwC she worked on a tax opinion for a complex cross-border transaction, and years later (after she had moved on from PwC), the partner from the practice group contacted her with the news that the transaction had survived audit with no adjustment, because of the work she had done on the tax opinion. “I considered this a great accomplishment because it reinforced to me the importance of both value creation (tax planning) and value protection (documenting defensible tax positions),” she explains. When not immersed in tax issues, Ellison spends time running, playing golf, studying languages (Chinese and Spanish) with her children, traveling, and cooking. “I am a pescatarian and enjoy cooking vegan dishes,” she notes.